Things to do in our area . . .
Waterfalls, lush meadows, newborn fawns, magnificent trees, blazing sunsets… Yosemite and the surrounding area are perhaps the most photographed in the world, and for good reason. Ever-changing weather and seasons make the Sierras a photographer’s heaven, for both amateurs and professionals. PRIVATE Guided Half-Day and Full-Day Photo tours available. Yosemite is one of the most famous rock climbing areas in the world. Spend a day with our expert SYMG guides who will customize the climb to your level of experience. This is a challenging, enjoyable, and memorable experience for adults and children alike. All equipment is provided. Yosemite National Park with all its splendor and grandeur. 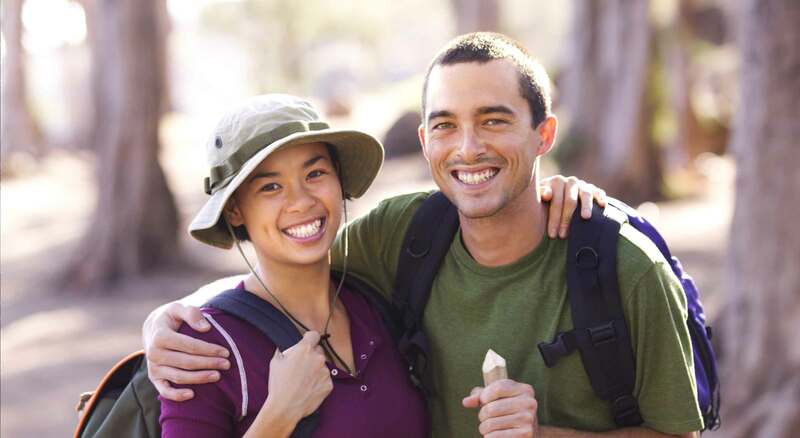 The Park is a hiker’s paradise with trails for hikers of all abilities. Provides the opportunity to experience the beauty and solitude of nature. Just minutes from the Château lies the Mother Lode, the historic Gold Country where experienced miners will teach the techniques, history and secrets of panning. Enjoy the waters of a private trout pond. A fly fishing adventure with guides and equipment is available. Experience the Sierra Nevada mountains by horseback. For all levels of riders; one-hour to full-day rides. Whether riding in Yosemite Valley or through a grove of giant sequoias, Sierra horseback riding is unsurpassed. Seasonal. The year-round allure of nature brings many to the shores of Bass Lake. Rent a canoe, fishing boat, ski boat, Wave Runner or Jet Ski. Our friends at Yosemite Crossroads Tours allow you to travel in style and tour in luxury! Crossroads Tours is the only touring company servicing Yosemite National Park that offer 100% custom tours. These tours will allow you to see all the beauty the Sierra Nevada Mountains have to offer. A favorite springtime activity, Zephyr White Water Expeditions is offered nearby on the Merced, Tuolumne, Stanislaus and Carson Rivers. Our guests enjoy challenging rapids, beautiful scenery, lots of laughter, picnicking by the river, and informative river guides. The excitement and serenity of a mountain bike adventure, along the most scenic byways of the Sierra Nevada. The Southern Yosemite area has several bike shops with sales, rentals and specially trained guides who are happy to offer their services and expertise. Reel them in at local lakes and streams. Bass Lake is a beautiful mountain reservoir planted frequently in early spring and summer. Bring your own rod and reel, or allow the marina personnel to outfit you. Ride an original narrow-gauge Logger through the tall pine trees. Seasonal. There are three golf courses nearby. In Ahwahnee, River Creek Golf Course and Ahwahnee Golf Course wind through foothill countryside with oak, pine and manzanita hazards. Within Yosemite, Wawona Golf Course tests one’s ability to focus as you stand amidst breathtaking beauty. Our surrounding area offers an abundance of outdoor enjoyment for the adventurous. Our concierge is happy to assist you with the the planning of all your activities (559) 683-6800.